At a luncheon awards presentation on Thursday, May 20, 2010 in Clinton, Preservation Iowa announced their annual Preservation at Its Best Awards to honor individuals, organizations, projects, and programs whose work demonstrates a commitment to excellence in historic preservation. 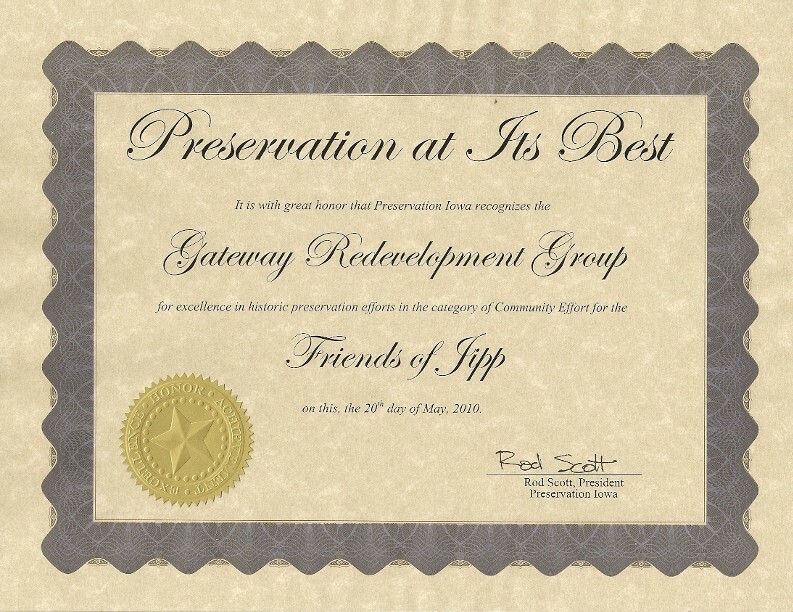 The awards were presented as part of a historic preservation workshop co-sponsored by Preservation Iowa, the State Historical Society of Iowa, the Clinton Historic Preservation Commission and the Clinton County Historical Society. "Each year, in partnership with the Iowa Gaming Association, Preservation Iowa seeks to honor historic preservation successes. In doing so, we hope to inspire others to take action to preserve, protect, and promote Iowa's historic resources," commented Rod Scott, President, Preservation Iowa.